Sukkar describes the area surrounding Becharri as “tough land” but goats survive the harsh environment. Sukkar’s parents were shepherds with up to 400 goats. 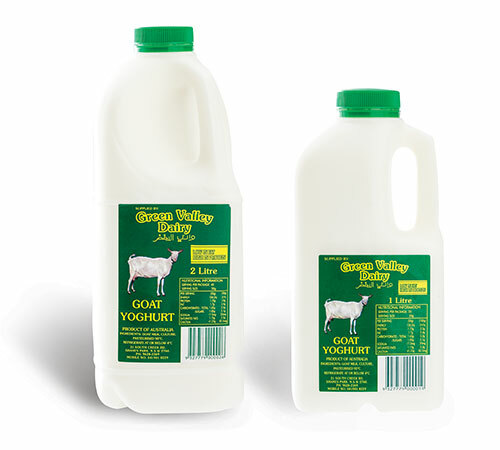 They made a living from selling goat’s milk products such as cheese and yoghurt, similar to his Green Valley Dairy range. At 18, Sukkar left Lebanon for Australia in search of work and a new life. He knew little about the country or the language but had family members in Sydney. “I came to look around and I like – I stay,” he says. After 15 years working as a welder, he wanted to get back to the land. During the early ’90s demand for Sukkar’s dairy line increased from local Middle Eastern communities. The father of three found himself working 16 hours a day with the help of his wife, Mary. “Before I had the machinery I’d milk the goat, then pasteurise the milk. I’d do the cheese. Do the yoghurt. Then go to the shop and then come back and start again, doing the same job, every day,” he says. Business really picked up after 1999, when Green Valley Dairy began winning medals at the Sydney Royal Cheese and Dairy Produce Show. Sukkar had up to 40 goats, including Nubian and Alpine breeds, but the herd died after being mysteriously poisoned. He started sourcing goat’s milk from other producers, using one tonne each week. As the orders increased, it became too expensive to use only goat’s milk. He started using cow’s milk to make the cheese spread and yoghurt cheese balls. His biggest seller, yoghurt, is still made with goat’s milk. Sukkar now orders about 40 tonnes of goat’s milk and 20 tonnes of cow’s milk a week. When he began, he made $4000 a year. Last year the turnover was $2.7 million. Sukkar says most Green Valley Dairy goods are traditionally made using oil and salt as preservatives. He offers the glass of yoghurt. It’s smooth with a tasty tang. “This is very old product,” he nods. His ancestors would be proud.